Every venture pertaining to blockchain and cryptocurrency is worth paying attention to these days. 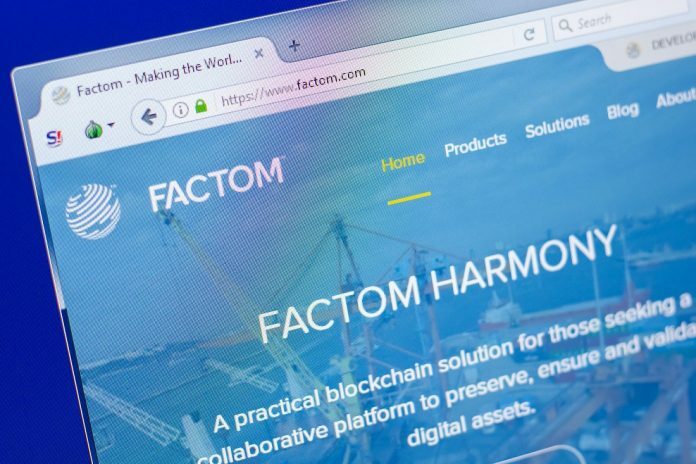 Although things may be a bit different in the world of stablecoins, the new venture by Factom will still get quite a bit of attention. The team claims they have built a new implementation which might help shape the future of stablecoins altogether. Not too much is known about Factom’s exact plans. The team alluded to such a project in a recent blog post, although no real specifications were provided at this time. Instead, they only touch upon what makes stablecoins so peculiar, and why there is a need for more competition in this department. It is certainly true that more of these coins can bring more people to cryptocurrency over the years. In the normal world, a stablecoin is pegged to a physical asset. This can be fiat currency, as well as precious metals, natural resources, and so forth. To date, most stablecoins in the cryptocurrency world have been tied to the US Dollar. The only notable exception in this regard is Venezuela’s Petro, though that currency faces a lot of backlash for entirely different reasons. The lack of transparency associated with that venture is one of the key concerns right now. Based on the current modeling and research conducted by Factom, the team is confident their approach can be successful. However, no one should expect Factom-based stablecoin to come to market in the near future. Additional research and testing are needed prior to effectively commercializing such a technology. An initial demonstration of the concept will be presented during the Texas Bitcoin Conference in late October. The bigger question is what Factom will try to achieve exactly. With major companies such as Gemini and Circle issuing their own dollar-pegged currencies as of late, the stablecoin market seems to be on the brink of oversaturation. Factom’s venture will primarily focus on on-chain auditability, which is something most other projects and offerings do not provide at this time. Some positive competition in this regard can be quite beneficial to everyone. For the time being, it remains to be seen how the cryptocurrency community will respond to this new offering. While one can understand any company wants to get in on the stablecoin action right now, it is not a market which requires an abundance of competition either. Cryptocurrency needs more fiat currency onramps, rather than adding more intermediaries to the ecosystem. It will be interesting to see what Factom plans to do exactly, as this announcement leaves a lot of room for speculation.